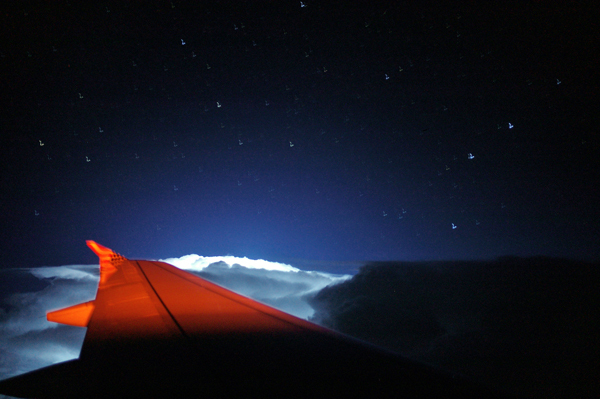 Early morning lightning, as seen from a Boston-bound airliner, near Lake Michigan. 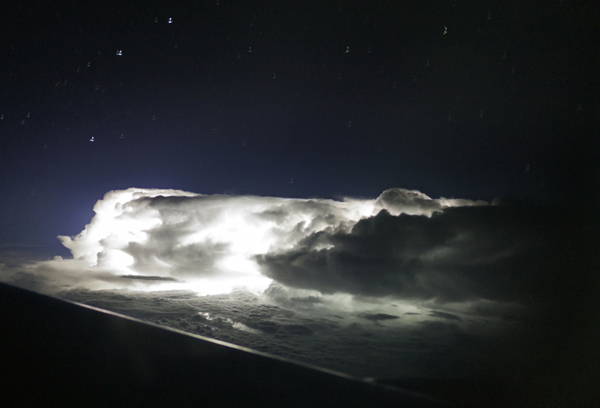 I was en route from San Francisco to Boston, just about 12 hours ago, when lightning illuminated the skies near Lake Michigan, as I was over Chicago. 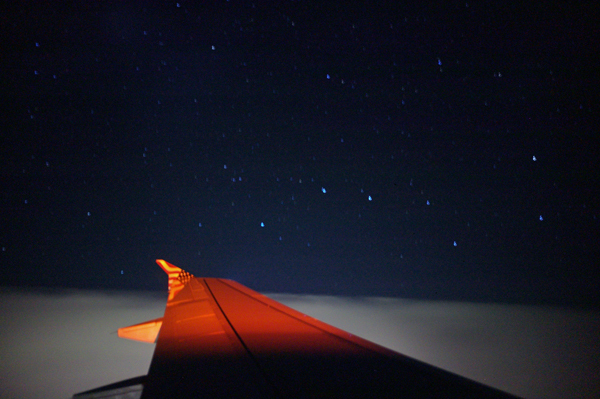 It was a beautiful scene as the backlit clouds exploded with light, as stars illuminated above. Here are my photos below. The photos were made with a Leica M9 and a 35mm 1.4 lens. The settings were 6 seconds, handheld, at F1.4 at 1250asa. 2 Boston Moons, 24 hrs Apart. The top was snapped tonight from South Boston at 5:51pm. A very orange moon shot with an 800mm lens. The bottom was snapped last night at 6:01pm from Arlington. A very bright moon shot with an 800mm lens plus a 1.4x teleconverter. Both photos of this “Beaver” moon show the moon just past it’s fullness. Both photos show 2 arrivals readying for landing at Logan airport. Please see my photos below. 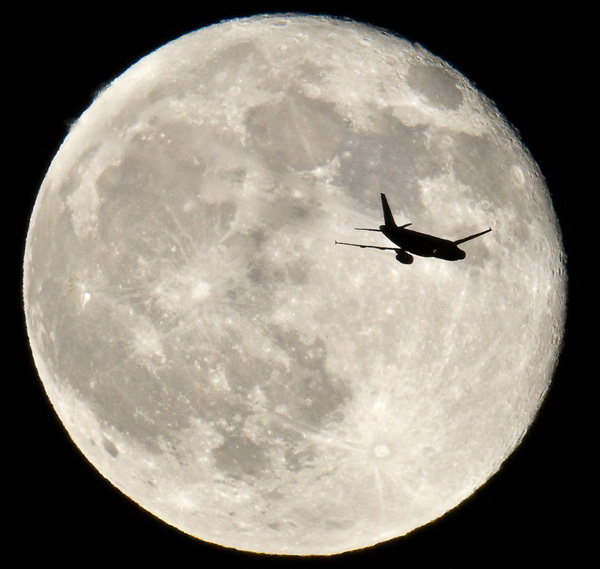 Posted in Uncategorized | Comments Off on 2 Boston Moons, 24 hrs Apart. I photographed the magic hour of Monday night’s sunset. 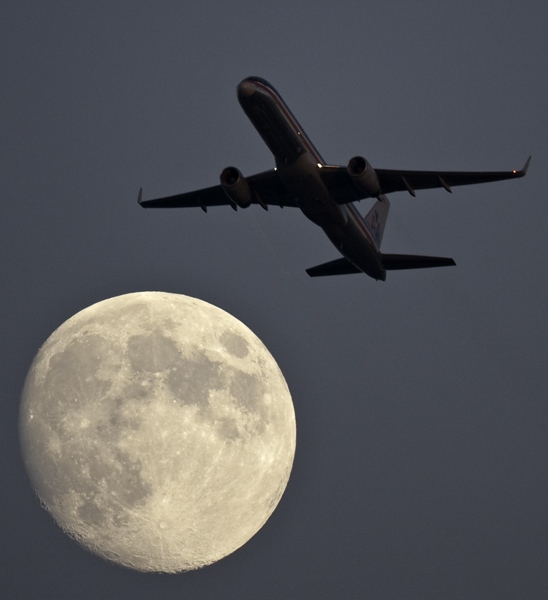 To the left of me was the moon and a departing Logan jetliner, and to the right of me was a high altitude transatlantic jet exiting the US east coast. 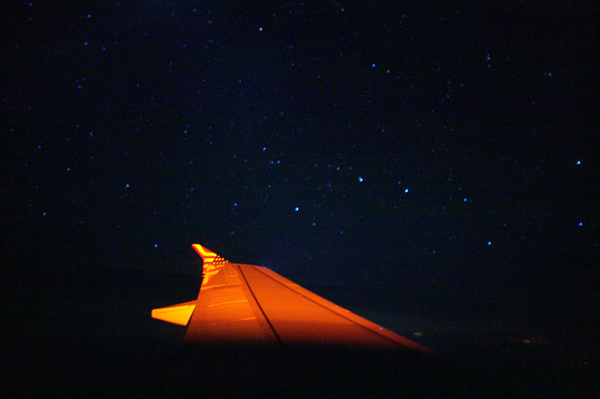 The origin of that flight is unknown, but definitely not Logan. 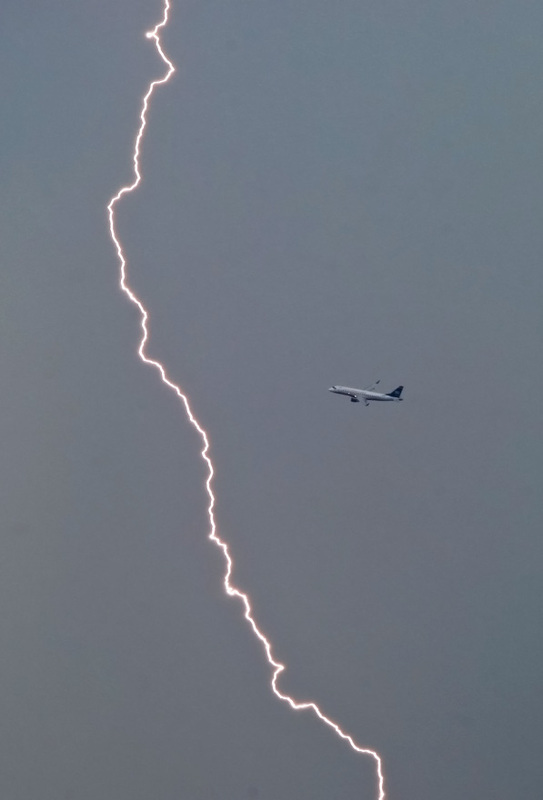 Lightning Strikes Near Departing Boston Airliner. 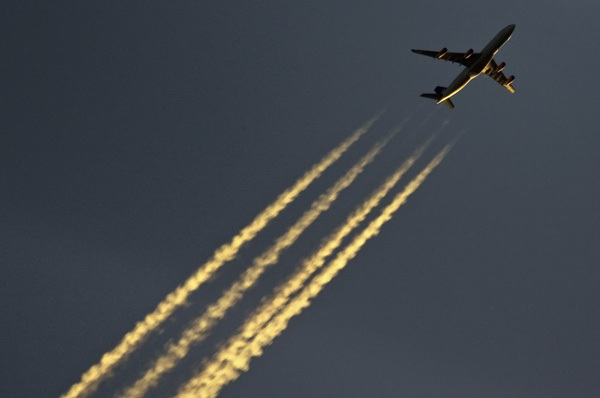 I photographed this departing airliner as lightning struck in front and to the west of it today. A fierce explosion of lightning bolts lit up the dark afternoon sky above eastern Massachusetts. See this in Saturday’s Herald. 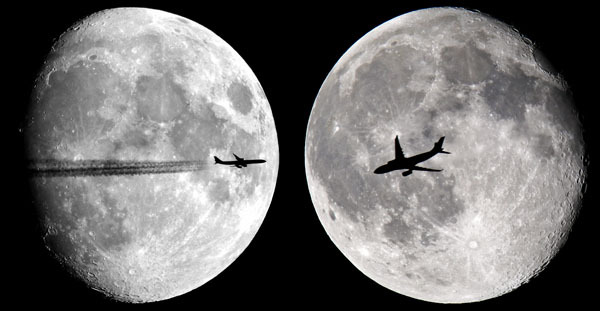 2 Near-Full Moons, 2 Passing Airliners, 6 years apart. Last night, 6 years after I snapped this photo on the left, I got lucky again with this photo on the right. 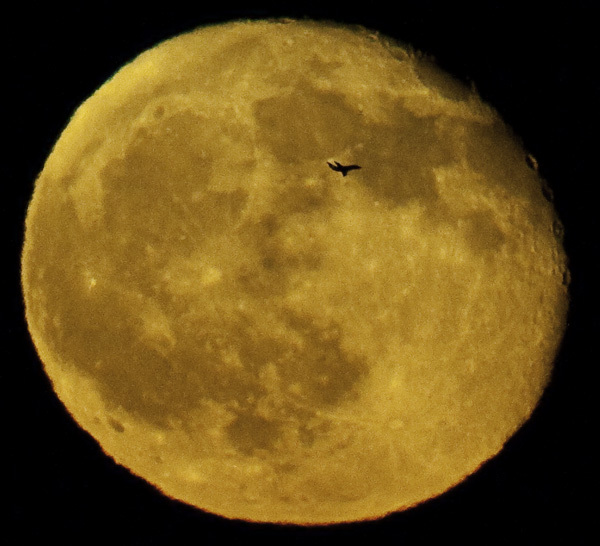 I was in Mashpee at about 10:45pm when I grabbed a very large lens and waited for this “hole in one.” It took nearly a minute for the jet to go west to east overhead and a little south of my position. The photo on the left was snapped August 26, 2004 from Winthrop. I didn’t realize the significance of the date until I looked up the older photo to compare the two. I believe both were taken at approximately the same time, give or take a 1/2 hour. For the record, I like the older one better because of the trailing contrails.